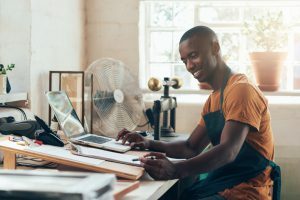 Form 1099 and Form W-2 — the top two tax forms you hear most business owners and employees talk about. As a business owner, if you are unfamiliar with either of these forms, you and your business may be at risk. Both forms have a different, yet significant, purpose and employers are responsible for handling each annually, based on the structure of their company. Form 1099-MISC is an information form that informs the IRS and the payee of monies paid as income (other than wages), salaries, and tips. This form is usually required of and used by employers that work with independent contractors. Business owners must prepare a Form 1099-MISC for anyone they have paid at least $600 towards rent, services performed by a non-employee, prizes/awards, medical and healthcare payments, other income payments, payments specified by the IRS, and any federal income tax withheld as a backup withholding. Depending on IRS conditions, compensation may also need to be reported if payment was made in exchange for services in the course of the trade/business or payment was made to an individual, partnership, estate, or corporation. As the owner of your business, you are responsible for filing and distributing Form 1099 by the January 31 deadline. This deadline is in relation to the tax year in which the money was paid. For example, monies paid between January 2017 – December 2017 must be filed by January 31, 2018. If you fail to issue this form on time, you will face penalties that can range from $30 to $100 per form. Intentionally failing to file will result to a penalty of $250 per statement. If you’ve ever worked for a company and had taxes withheld from your paycheck, you’re pretty familiar with this form. 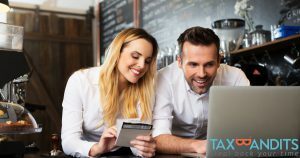 The W-2 Form is a wage and tax statement that owners are required to provide their employees for income paid for services performed, including non-cash payments of $600 or more. Withholding for these types of employees is determined by the W-4 Form that the employee complete when hired. This Form can be revised periodically as needed and authorizes the employer to withhold taxes for a specified number of dependents. These taxes are withheld and paid regularly to the proper tax authority. From a business owner perspective, you are responsible for mailing the W-2 Form to your employees no later than January 31. A summary of the W-2s for all of your employees has to be given to the IRS no later than February 29. Failing to file your W-2 Form can result in major penalties from the IRS. Our most recent blog, Avoiding Late Filing Penalties with TaxBandits is Easy! tells you exactly what you need to know about those penalties. Whether you’re responsible for filing a 1099, W-2, or both, TaxBandits is here to help you complete the filing process every step of the way. We provide both forms along with a host of others that can easily be filed under one account. Plus we provide step-by-step instructions that guide you through the e-filing process and have a multitude of features to make the entire process incredibly convenient. Best of all, our outstanding, US-based support team is here to help if you need any assistance. Just give us a call Monday – Friday from 9 AM to 6 PM EST at 704.684.4751. We also offer live chat and 24/7 email support at support@TaxBandits.com.